News organisations have traditionally viewed user-generated content as a useful addition to a breaking news story or to compliment a television package or article. It was, and often still is, seen as amateur or low-quality by many local and national news outlets. But mobile journalism network Hashtag Our Stories (HOS) is aiming to change this. Since the company was launched in October 2017, co-founders Sumaiya and Yusuf Omar have travelled to over 40 countries around the world training communities to tell their own stories. Their aim is to empower individuals to become citizen journalists, able to produce great footage using smartphones, and tell the stories that often go untold in the mainstream news agenda. From tackling HIV in South Africa to India's first Gay Pride in Delhi, the mobile journalism network has helped create 'global, raw and intimate' vertical video stories that bring communities together. 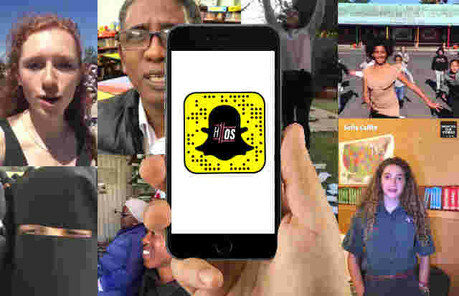 Having secured a $150,000 investment from Snapchat in the company’s startup accelerator Yellow, they will be continuing their mission in 2019: telling more stories created by citizens, curated by their small team of journalists. "Our stories are built on the Stories format primarily, and are built largely on curation, on listening to citizen journalists and empowering them to create professional-quality citizen journalism," said Yusuf Omar. The news publisher bases its work on a collaboration between professional journalists and communities – the audience shoots and sends in the footage via social media platforms, and Hashtag Our Stories verifies, edits and publishes the content on Snapchat Discover and it’s other social platforms. Now, with the company and its output growing, Sumaiya and Yusuf Omar are creating digital toolkits for its audience to better their storytelling. "We started off on a multi-country tour because it was really important for us to understand what it meant to empower citizens on the ground, and what they required on their side to be able to tell stories, besides just the technical aspects of how to use a phone," said Sumaiya Omar. "But it wasn't sustainable for us to keep going to all these places ourselves, which is when the next stage came: creating tools." Yusuf explained that it would not be effective for Hashtag Our Stories to send everyone an email or PDF document explaining how to shoot, as young people do not engage with technology that way anymore. "But if we could put our experience into a lens that lives within someone's camera, on platforms like Snapchat and Instagram, it means anyone, anywhere in the work will have the framework and structure to create professional quality citizen journalism." If you are not an avid user of Snapchat, a lens is a 3D enhancement which locks onto real-life footage as it is being shot. Users of the app open the camera and tap the screen to scroll through a variety of lenses - you may be familiar with some of the AR masks that give you dog ears, or make it look as though you were breathing fire. The lenses can carry out a range of tasks, from adding a mask onto your face, to changing the scenery behind you, to even adding a moving object into the scene. They might seem gimmicky at first, but Sumaiya and Yusuf have spotted potential for these lenses to be used within the journalism industry – specifically, helping citizen journalists tell more stories. 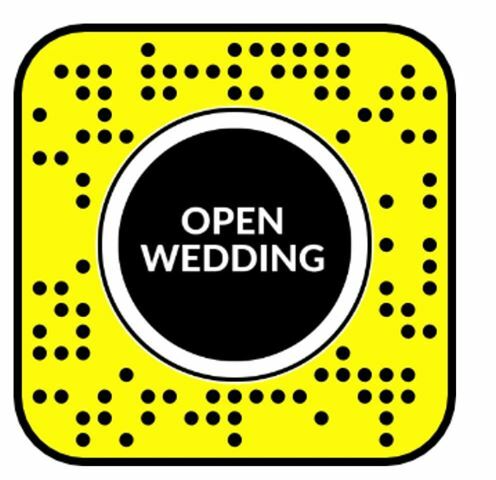 By creating their own lenses in the Snapchat Lens Studio, via Snapcodes, Hashtag Our Stories has made it possible for citizen journalists to load on-screen instructions that can guide them through what type of shots to take or how to tell their story while they are filming. "These tools are designed to encourage people not to ramble – to produce content of merit," Yusuf said, explaining that often people have a story to tell but struggle to articulate themselves. "They make a big difference in transforming what would be amateur content into quite a professional journalism product. "This is a consequence of a brand-new form of journalism – curated stories from many different voices in one story." Through the creation of these tools, the publisher is highlighting the importance of strong, coherent storytelling in an age where gifs, stickers and rainbow text can often make the Stories format seem 'unprofessional' to traditional reporters. Yusuf explained that some news organisations often see high-quality user-generated content as a threat to their business. He argues that it opens the gates for a new generation of media companies to emerge, who are suited to harness and verify user-generated content. "We are now faced with more editorial decisions than you've ever had in history, because we have more sources coming in from a more diverse group of people," he said. "There are billions of people out there creating videos every day, but the vast majority of that content is being ignored – publishers are really only taking the funny stuff and the breaking news. "But there are tons of amazing videos out there, and if news outlets can gain access to that, raising the quality, you have access to the most intimate, incredible and raw stories that you won't find anywhere else." Listen to our most recent podcast with Sumaiya and Yusuf, who explain why they believe their news model can help the media offer more perspectives and truth to wider audiences.